Thank you for such an interesting question. I think at one point or another all of us fear intimacy and here are a few crystals that will help. Black Obsidian is wonderful for reducing any kind of fear. Often we are afraid to trust someone because we may not feel safe and Obsidian really helps to reduce those fears if they are unnecessary. If they are (let's face it - we all make mistakes!) then Obsidianwill help protect you from any harm. Lapis Lazuli will bring the extrovert out in even the most timid. It helps you to be yourself and encourages confidence. Intimacy is all about being yourself with someone and having them accept you as you are. Lapis Lazuli will help you get there. 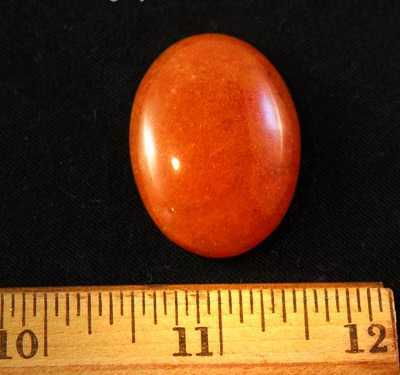 Finally an Orange Aventurine will give you the courage you need to just go for it. Fear is something that we build up in our minds and sometimes we just need a push to action. Orange Aventurine will help you be comfortable with acting on your instincts and reduce any dominance of fearful thoughts. Thanks again for you question. I really hope that these crystals help and I would love to hear back from you. Thank you for your support of Healing Crystals.com and please let us know if we can be of any further assistance. Wishing you lots of love and light!